Snakes are well known for their venom and constricting abilities. 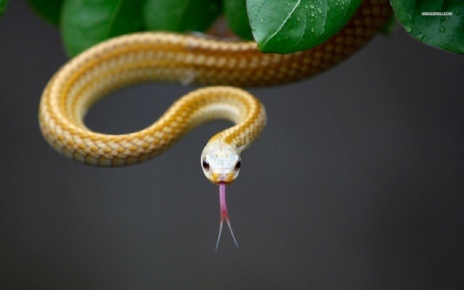 On this page we are going to explore some of the basic and some unknown concepts of snakes. Lets first focus on what’s inside a snake. Their skeleton is much simpler than ours. 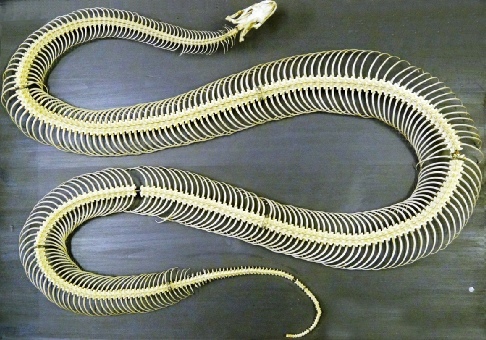 We know we have ribs which extend from our spin and cover our lungs, but snakes essentially have the same design, but all through their body. The important thing to note, is that their not called ribs, but vertebrae. What’s more impressive is the jaw. The Jaw contains a Quadrate Bone. 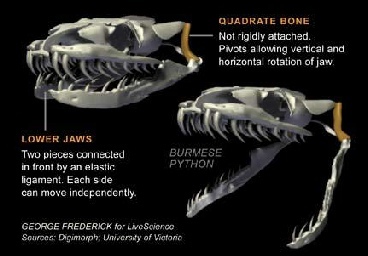 This bone allows the snakes lower jaw to rotate vertical and horizontal. This allows the snake to open its jaws very wide and swallow large animals whole. The video to the left shows a small snake eating an egg. Another thing you’ll notice, is that snakes are big eaters. The video to the right shows an anaconda eating a crocodile. Prior to consumption the anaconda strangles its victim, with each breath out, the anaconda tightens. This eventually suffocates the animal. So how do they fit so much into their stomachs? The stomach its self is actually pretty small, but as the snake eats its prey, it wiggles and moves around ‘ walking’ the food in. As the food enters the stomach expands, growing up to 4 times its original size. After eating a big meal, it can take up to 15 days for the food to become completely digested. 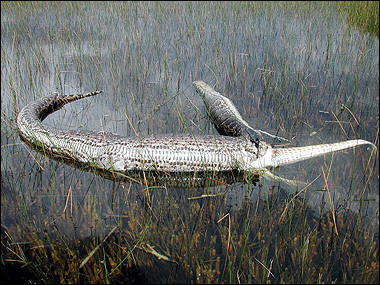 Eating something like a crocodile, means the snake could go 2 months or more with out food, but there is a risk involved. In Florida and large Burmese Python tried to eat an alligator. In the process of eating the Python burst open as the alligator was too large. Another thing snakes are famous for is their venom. Some snakes use venom to kill their prey. They have fangs tucked away in their mouths. When prey presents its self, they strike and the fangs pop out. Injecting the animal with poisonous venom that can paralyse or liquefy your organs. But how is it that they can eat such large preys and still breath efficiently. 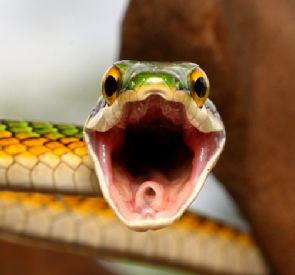 Snakes have a small whole in their mouths which lead to the trachea. This whole is called the Glottis. When the snakes are eating a big meal, they can extend the glottis outward to the edge of their mouth. Essentially they use it as a snorkel. To the left is the glottis in the mouth, to the right is the glottis out of the mouth while the snake eats. 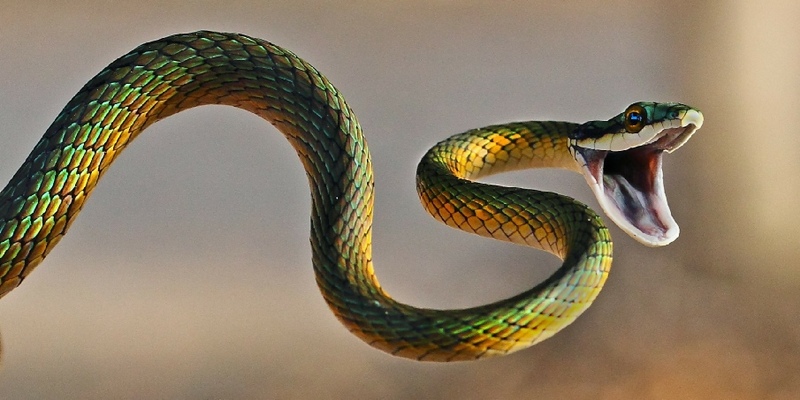 Another thing you’ll almost always see is the snake sticking its tongue out. The tongue contains tiny receptors which detect chemical changes in the air. These receptors along with the receptors in the nose, allows the snake to track their prey as they hunt. Some snakes actually have the ability to detect infrared heat.